Cruciate paralysis is characterized by injury to the cervicomedullary junction (CMJ) resulting in paralysis of the arms with minimal or absent lower extremity involvement. It may be confused with an acute central cord syndrome. A cruciate palsy must be kept in mind when dealing with selective upper limb paresis with an associated fracture of the odontoid process. Department of Orthopaedics, D.Y Patil University School of Medicine and Hospital, Navi Mumbai. India. Assistant Professor, Department of Orthopaedics, D.Y Patil University School of Medicine and Hospital, Navi Mumbai. India. Introduction: Cruciate Paralysis is a rare incomplete spinal cord syndrome presenting as brachial diplegia with minimal or no involvement of the lower extremities. It occurs as a result of trauma to the cervical spine and is associated with fractures of the axis and/or atlas. Diagnosis is confirmed on MRI and is managed by treatment of the underlying pathology. Prognosis depends on the extent of spinal cord injury and the exact cause. Case Presentation: A 20-year-old male presented to the casualty with a history of an injury to the back of the head as a result of a fall. He had severe pain in the neck and shoulder region and experienced difficulty in raising both arms and gripping objects. On examination, he had weakness of both arms, more on the right, involving the C5 to T1 distribution and brisk reflexes. There was no sensory deficit. Radiograph and a computed tomography (CT) scan of the cervical spine showed a type III undisplaced odontoid fracture. MRI showed a signal abnormality in the spinal cord at the level of the cervicomedullary junction extending up to the body of C2 vertebra. The patient was treated with traction in Gardner Wells tongs for six weeks and a sterno-occipital-mandibular immobilizer immobilizer (SOMI) brace thereafter. At three-month follow-up, he had attained complete neurological recovery. Conclusion: Cruciate Paralysis is an important cause of brachial diplegia and must be differentiated from Acute Central Cord syndrome which can have similar clinical features. About one out of five cervical spinal trauma involves the axis , commonest being a type II odontoid fracture . The commonest cause of a dens fracture is hyperflexion at the neck. This may lead to an anterior displacement of C1 on C2 (atlanto-axial subluxation). Extension only occasionally produces odontoid fracture and this is usually associated with posterior displacement of the C1 arch fragment relative to the body of axis . The C1-2 complex allows far more motion than any other single level in the cervical spine. This motion is predominantly rotational, since the strong transverse ligament limits translational motion at C1- C2. This restriction is lost after fracture of the odontoid and may be associated with antero- or retrolisthesis of the C1-C2 complex in relation to the C2 body. This may result in spinal cord compression producing severe neurological deficits . 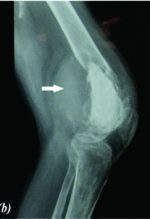 We present a case of a hyper- flexion injury resulting in a type III odontoid fracture presenting as a weakness of both upper limbs. The diagnosis of cruciate paralysis was made on MRI showing signal intensity changes at the cervicomedullary junction (CMJ). A 20-year-old male presented to the casualty with a history of an injury to the back of the head as a result of a fall. He complained of severe pain in the neck and shoulder region with difficulty in raising both arms and in gripping objects. On examination, Glasgow coma score was 15/15 and the vitals were within normal limits. There was no evidence of head injury, raised intracranial pressure, respiratory distress or paradoxical breathing. Local examinations findings revealed tenderness in the upper cervical spinal level and severe spasm of the para- spinal muscles. On neurological examination, he had weakness of both arms, more on the right, involving the C5 to T1 distribution and brisk reflexes. There was no sensory deficit. The only other abnormality on neurological examination was brisk reflexes in the lower limbs but power was intact. There was no involvement of the cranial nerve(s). Open mouth odontoid view radiograph and a computed tomography (CT) scan (Fig. 1) of the cervical spine showed a type III undisplaced odontoid fracture. MRI (Fig. 2) showed a signal abnormality in the spinal cord at the level of the cervicomedullary junction extending up to the body of C2 vertebra. The patient was treated with traction in Gardner Wells tongs for six weeks. Upon removal of the traction a sterno-occipital-mandibular immobilizer immobilizer (SOMI) brace was applied for another six weeks. His neurological deficit improved in traction and upon discharge. He had no complications from the treatment. At three-month follow-up, he had achieved full neurological recovery. MRI at 3-months follow-up showed that the lesion had regressed to a cystic lesion adjacent to the base of the odontoid. After cervical spinal cord injury, patients rarely present with selective paralysis of the arms without paresis or paralysis of the legs. 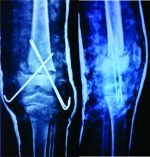 The clinical presentation has conventionally been attributed to two similar but distinct syndromes: acute central cord syndrome (CCS)  and cruciate paralysis . Acute CCS usually results from hyperextension of the cervical spine and squeezing of the spinal cord in an already narrowed spinal canal as a result of a degenerative disease . Selective paralysis of the arms is induced because the medial portion of the lateral corticospinal tract, consisting of axons involved in the upper extremity function, is injured more than the lateral portion of the tract which is mainly involved in the function of the legs [1, 3, 7]. However, concomitant vertebral fractures, including odontoid fracture are rare [1, 3, 4]. Cruciate paralysis is characterized by injury to the cervicomedullary junction (CMJ) resulting in paralysis of the arms with minimal or absent lower extremity involvement [6, 8, 9, 10, 11, 12, 13]. The pathophysiology is based on the neuroanatomy in which the motor tract of the upper extremities crosses rostrally in the CMJ, whereas that of the legs crosses caudally in the superior cervical spinal cord [6, 8-13]. This syndrome is induced when the fibers of the arms are selectively damaged by an injury to the CMJ. Cruciate paralysis has been closely associated with fractures of axis and/or atlas [9, 12]. Clinically, Acute Central Cord syndrome always affects the upper limbs more than the lower limbs, although the lower limbs are commonly affected as well. The cranial nerves however, are never involved. In comparison, cruciate paralysis does not involve the lower limbs and may be associated with transient respiratory insufficiency and urinary retention. Associated deficit of a single or multiple cranial nerves have been described, the spinal accessory nerve being the most commonly affected [6, 8, 14]. MRI can be helpful in localizing the lesion to the cervicomedullary junction in cruciate plasy  and might show edema or contusion in this area. Acute CCS is rarely associated with injury to the atlanto– axial complex [5, 7], and it rarely involves the upper cervical spinal cord [5, 7]. A preexisting cervical canal stenosis may be present . No specific treatment has been described for cruciate paralysis and depends on the exact cause. The overall prognosis is good; however it depends on the exact nature of injury and the underlying pathology . An acute central cord syndrome is otherwise suspected in bilateral upper limb diplegia with minimal or no lower limb involvement. However, suspecting or diagnosing Bell’s cruciate paralysis localizes a lesion to the cervicomedullary junction and can aid in the diagnosis of the underlying pathology. Bell’s cruciate paralysis is an important differential cause of upper limb diplegia, which may be associated with a fracture of the axis and a spinal cord lesion at the cervico-medullary junction. A meticulous evaluation along with the knowledge of this condition aids diagnosis and plan treatment. 1. Huelke DF, O’Day J, Mendelson RA. Cervical injuries suffered in automobile crashes. J Neurosurg 1989;54:316-22. 2. Anderson LD, D’Alonzo RT. Fractures of the odontoid process of the axis. J Bone Joint Surg (Am). 1974;56:1663-74. 3. Stillerman CB, Roy RS, Weis MH. Cervical spine injuries: Diagnosis and treatment. In Wilkins RH, Rengachary SS (eds) Neurosurgery Vol II, Ed 2. 2875-2904. 4. White AA III, Panjabi MM. Clinical Biomechanics of the Spine, Ed 2. Philadelphia: JB Lippincott, 1990;pp 92-7. 5. Schneider RC, Cherry G, Pantek H. The syndrome of acute central cervical spinal cord injury, with special reference to the mechanisms involved in hyperextension injuries of cervical spine. J Neurosurg 195411:546–77. 6. Bell HS. 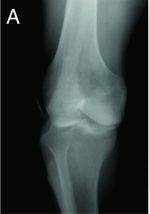 Paralysis of both arms from injury of the upper portion of the pyramidal decussation: ‘cruciate paralysis’. J Neurosurg 1970;33:376–80. 7. Roth EJ, Lawler MH, Yarkony GM. Traumatic central cord syndrome: clinical features and functional outcomes. Arch Phys Med Rehabil 1990;71:18–23. 8. Dickman CA, Hadley MN, Pappas CTE, Sonntag VKH, Geisler FH. Cruciate paralysis: a clinical and radiographic analysis of injuries to the cervicomedullary junction. J Neurosurg 1990;73:850–8. 9. 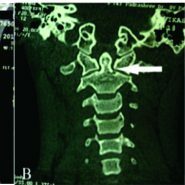 Dai L, Jia L, Xu Y, Zhang W. Cruciate paralysis caused by injury of the upper cervical spine. J Spinal Disord 1995;8:170–2. 10. Ladouceur D, Veilleux M, Levesque RY. Cruciate paralysis secondary to C1 on C2 fracture-dislocation. Spine 1991;16:1383–5. 11. Ciappetta P, Salvati M, Raco A. Cruciate hemiplegia: a clinical syndrome, a neuroanatomical controversy. Report of two cases and review of the literature. Surg Neurol 1990;34:43–7. 12. Erlich V, Snow R, Heier L. Confirmation by magnetic resonance imaging of Bell’s cruciate paralysis in a young child with Chiari type 1 malformation and minor head trauma. Neurosurgery 1989;25:102–5. 13. Dumitru D, Lang JE. Cruciate paralysis. Case report. J Neurosurg 1986;65:108–10. 14. Levi ADO. Approach to the patient and diagnostic evaluation. In: Winn HR, Youmans JR (eds). Youmans Neurological Surgery. WB Saunders; 2004:4871. 15. Erlich V, Snow R, Heier L. Confirmation by magnetic resonance imaging of Bell’s cruciate paralysis in a young child with Chiari type I malformation and minor head trauma. Neurosurgery 1989;25(1):102-105.